It is not possible to earn Valor Points and until Mists of Pandaria now. Scholomance, Scarlet Monastery, and Ragefire Chasm got reworked. The settings are familiar, but the bosses and loot have changed. Many UI changes, from a separate Mounts & Pets tab to extensive Spellbook changes. Many quality-of-life additions: AoE looting, Battle Tag functionality, cross-server zones. Looking for addons? WoW Interface has you covered. Things you'll have to wait for MoP for: Monks, questing in Pandaria, the level cap raised to 90, new heroic dungeons and raids, scenarios, pet battles. In 5.0.4, Garrosh Hellscream will launch a full-out attack on Theramore and Jaina Proudmoore, determined to conquer all of Kalimdor. Your character will take part in this dramatic conflict that has tragic consequences for all. From September 18-24 only, players can queue up at 85 for Theramore's Fall, a new scenario. The scenario can be later completed by level 90 players in Mists of Pandaria. The Theramore event will not begin on patch day, August 28th, in contrast to the staggered pre-Cataclysm event. There will be faction-specific Feats of Strength for participating in this scenario at level 85: Theramore's Fall and Theramore's Fall. 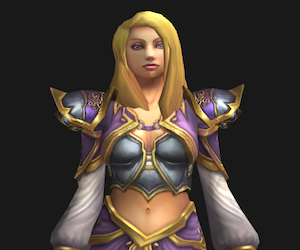 Rewards have been added: Theramore Tabard for Alliance and Mini Mana Bomb for Horde. Theramore will eventually be changed permanently to its post-battle state in a future patch. Theramore will still be a zone players can quest in. However, the former interactive version of the city with NPCs and questgivers will be removed. Several ilvl 384 items have been datamined in beta patches, with Theramore-themed names and old-school vanilla models. In 5.0.4, the talent system will be radically changed. Instead of 31-point talent trees, each player gets 6 talents total. There is an option between three talent choices every 15 levels. Many talents that were considered mandatory have been added into class specializations. You do not need to visit a trainer to learn new abilities: you only visit them to change talents and specializations. With so many new abilities introduced this patch, Blizzard took the time to add amazing spell graphics for each class. Check out our past previews. We've had a Mists of Pandaria talent calcuator up and running hours after the overhaul was first announced at BlizzCon 2011. Constantly updated, it reflects all the new talents, class abilities, specializations, and glyphs. Check it out! We've provided links below to our talent calculator, Blizzard's summaries of class changes, as well as detailed guides to all specs our friends at Noxxic have put together. Frost Presence now increases your Runic Power generation. Each specialization learns a passive effect that should cause that specialization to favor the corresponding Presence for general use. Necrotic Strike, as well as the new talent Death Siphon, both cost a Death Rune, meaning that they can only be used when one of your runes has been transformed to Death. Check out our Wowhead class preview with armor models, screenshots of spell effects, and more. The Feral specialization has been split into Feral (for Cat-focused druids) and Guardian (for Bear-focused druids) specializations. Each of the four specializations has a more distinct and different set of tools, but all of the spells available to the specialization are now useful. For example, Feral and Guardian druids can cast for a useful amount of healing, and Balance and Restoration druids can make better use of the Cat Form and Bear Form abilities they have. Druids have tons of fun abilities with cosmetic effects as well. We've made video and screenshot posts documenting all the amazing looks. There is no longer a minimum range for the class. The ranged weapon slot has been removed from the game; hunters now equip their ranged weapon in the main hand weapon slot. Mages received many changes intended to flesh out rotations and make them more interesting. Arcane mages now have a more complex rotation. Fire mages now have tools to control the random nature of their spells. Frost mages are now considerably stronger at sustained damage dealing, and now viable in PvE. Much of the crowd control and survivability that was unique to Frost has been spread to the whole class, or made available to all specs as talents. Paladins now have several ranged abilities, though remain primarily melee combatants. In-line with streamlining raid buffs (more on that below), Auras have been removed, and the buff focus is now on Seals. Paladins can now store up to 5 Holy Power at a time, but still can only use up to 3 on each Holy Power spender. Mana pools are fixed for all casters (more on this below). Chakras are now more similar to warrior stances. Changes have been made to Discipline to further support the damage absorption playstyle. Shadow priests now have as a resource, which can be generated by some of their basic spells, and spent on either strong damage or crowd control. Poisons are now Spellbook abilities that affect both weapons at once. Poisons are divided into two categories, Lethal (Deadly or Wound Poison) and Non-Lethal (the rest), and you may have one poison of each type active at once. Many abilities that used to be restricted to a single specialization are now talents and available to all specializations; so you can have a Shadowstepping Combat rogue or an Assassination rogue with Cheat Death. Dagger speeds have been normalized such that the niche of the “fast dagger” intended for the off-hand no longer exists. Any dagger should be fine to equip in either hand. Totems no longer provide long-term buffs. Some of the old passive effects are now innately provided by the shaman. Totems instead have short-term situational benefits. In light of this the totem multidrop UI has been removed, though all totem spells are now sorted under draggable elemental flyouts in the Spellbook. Check out our Mists of Pandaria Shaman Preview for armor sets, new abilities, and more information on totem changes! Each warlock specialization has a unique secondary resource which allows them temporary surges in power. Affliction warlocks focus more on layering multiple periodic damage effects, and amplifying their effects, and use Soul Shards rotationally for strong damage, or occasionally for utility as before. Demonology warlocks now have a new resource, instead of Soul Shards, which is built by casting their normal spells. Destruction warlocks now use as a resource, which is built up slowly through casting their normal spells, and spent in bursts of massive damage. All demons deal similar damage and are no longer linked to a specific spec. Doomguard, Infernal and Soulstone cooldowns reset upon wiping to a raid or dungeon boss. Check out our Mists of Pandaria Warlock Preview for a look at armor sets, amazing spell graphics, and many new pets from ! The design of Rage has changed to function more like a valuable resource. Warriors no longer naturally gain Rage from taking damage, but instead generate Rage with their primary attacks, such as Mortal Strike, Bloodthirst, and Shield Slam. Stances also now share a single action bar, rather than changing your action bar, and abilities are no longer restricted by stance. In addition, the benefits of the stances have changed considerably, with allowing the warrior to gain some Rage from taking damage, making the warrior gain additional Rage from dealing damage, and Vanguard focused on survivability. Prime Glyphs are removed. Many of these abilities have been turned into class abilities. Your character now can have 6 glyphs at once, not 9. Minor glyphs in 5.0.4 are designed to be lighthearted and provide your character with fun vanity effects. Blizzard felt minor glyphs were too dull and wanted to do something different with them. Check out our past visual previews of the new cosmetic glyphs. Many old glyphs will be changed in 5.0.4 and your old glyphs will convert into new ones. Others, like monk glyphs, will require 525+ Inscription to learn. Many professions do not have changes, but Inscription has a few low-level weapon plans in addition to all the glyph changes. 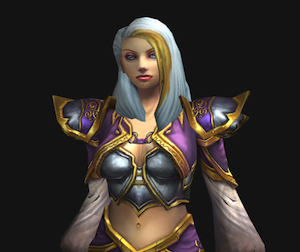 We suspect that this will help transmog more than leveling players, as the weapons use rare models. Key to the Planes (Recipe: Key to the Planes). First seen on Chief Engineer Lorthander. Runed Staff (Recipe: Runed Staff). Blue-and-black feathered staff. Rosethorn Staff (Recipe: Rosethorn Staff). A yellow version of Chillwind Staff and Staff of Earned Tranquility, a weapon model formerly Alliance-only. Silver Inlaid Staff (Recipe: Silver Inlaid Staff). Purple-and-silver feathered staff. As part of the talent tree redesign and ability revamp, buffs and debuffs were reworked so all classes had a relatively equal amount of raid utility. Be sure to check out Zarac's guide, Mists of Pandaria Buffs and Debuffs, for a well-organized list. Valor Points will be converted to Justice Points, and converted to . Justice Points and will be capped at 4000 until Mists of Pandaria. Several weeks after Patch 5.0.4, excess Justice Points and will be refunded at a small silver conversion rate. Items formerly available for Valor Points and can now be purchased with Justice Points and . Example: Bottled Wishes now costs 0 Justice Points instead of 0 Valor Points. On September 25th, Valor Points and will be earnable again. Characters can earn 1000 Valor Points per week, hold up to 3000 Valor Points maximum, and hold up to 4000 maximum. Check out Blizzard's recent blog on currency conversions here. Most pets, mounts, titles, and achievements will be account-wide in 5.0.4. This will greatly help players who have meta achievements in progress across several characters. If an achievement can be completed across multiple characters, like a meta-achievement, it will have a blue bar in the heading. Check out our guide to account-wide achievements, updated for 5.0.4 with things like realm first titles! Exceptions include class-specific mounts, Challenge Mode mounts, Gladiator and RBG mounts. A title will be acquired on an alt when they reach the required level to obtain it. It looks like realm-first titles will be account-wide too! Achievements will be shared at the battle.net level. This means that characters on linked accounts will share these items and accomplishments. Expensive and multi-seat mounts were originally intended to be character-specific. They were changed during beta to be account-wide, so all characters can benefit from your Reins of the Grand Expedition Yak. Full list here. Check out Ghostcrawler's post on account-wide achievements for more information. Helm enchants are permanently removed. Check out Ghostcrawler's explanation here. The ranged weapon slot is removed. There is simply just a weapon slot. Players will have the option of equipping, for example, a staff or a wand, a bow or a polearm. As a result of this change, ranged weapons will receive stat boosts to be more powerful and minimum range has been removed. However, ranged attacks can now be dodged. Expertise will convert to spell hit for casters. Spell penetration is being removed. Three leveling dungeons were revamped in the latest patch: Ragefire Chasm, Scholomance, and Scarlet Monastery. While sadly some items like Tabard of the Scarlet Crusade aren't available anymore, there's updated stories and new achievements to farm. Check out the links to see video and screenshot previews, the Encounter Journals, new loot, and what's exactly changed! Heroic versions of Scarlet Monastery and Scholomance will be available in Mists of Pandaria. Check out the new loot tables below! AoE Looting: This will greatly speed things up in 5.0.4! You will be able to loot all nearby mobs by clicking on one corpse. For Wowhead Client users, don't worry, we'll be able to accurately display drop locations and percentages still. Battle Tag Support: Battle Tags are similar to Real ID, but without your name attached. You can invite, add, and remove friends with Battle Tags just like you do with Real ID, but with more privacy. This system was first introduced in Diablo III. All Races Available in 5.0.4: Players do not need to purchase a specific expansion to unlock several races, all races are available with Classic WoW. For example, you do not need Cataclysm to roll a Goblin. Read the blue post here. Blacklisted Battlegrounds: Players can blacklisted two battlegrounds at a time--removing them from their random queue. Simply click the thumbs-down icon by a battleground's name and you won't have to deal with your least favorite map ever again. 11th Character Slot: This is the first expansion where the number of characters per realm has been increased to 11. Cross-Realm Queueing: Players in under populated areas of the world such as low level zones will be grouped together within a select pool of realms. The natural flow of questing will be preserved but the zones will end up less sparse. For highly-populated areas like major cities, this won't be in effect. Check out the blue post describing the changes in more detail. Spellbooks have been greatly changed: all abilities show up in tabs organized by spec, regardless of your characters chosen dual specs. In addition, there is a spellbook page talking about core abilities and changes for your class. New help prompts have been added to many portions of the spellbook, for users unused to the new format. Pets and Mounts now have their own interface. Buffs at the top right of your screen have been consolidated. Clicking on the buff icon will expand the window to show what buff types you have. The Dungeon Journal now includes pre-Cataclysm encounters. Vendors now filter items by class. Helpful information toggle buttons have been added at the top left of window panes. Click on the "i" to have more information pop up. A new roll results frame will provide more detailed information. Type /loot in game to see more information. New characters will show up on the preview screen in sample sets of high-level gear, instead of level 1 greys. A bar has been added to the right side of the screen that allows you to visually browse all the customization options, such as hair and skin color. The character creation screen has been changed to reflect the faction conflict instead of your race's homeland.